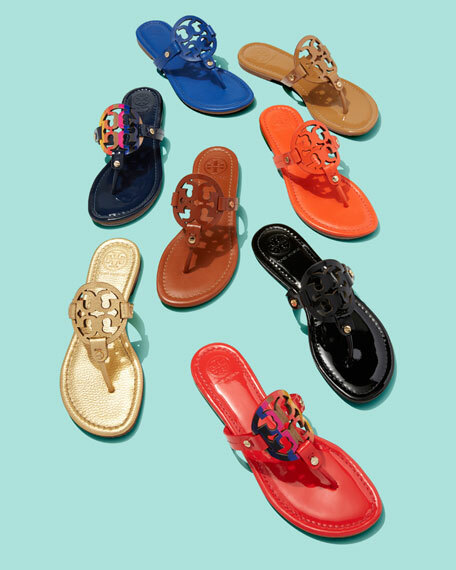 The signature Tory Burch logo lends an elegant touch to the thong strap of this classic sandal design. Metallic leather upper with golden screw accents. 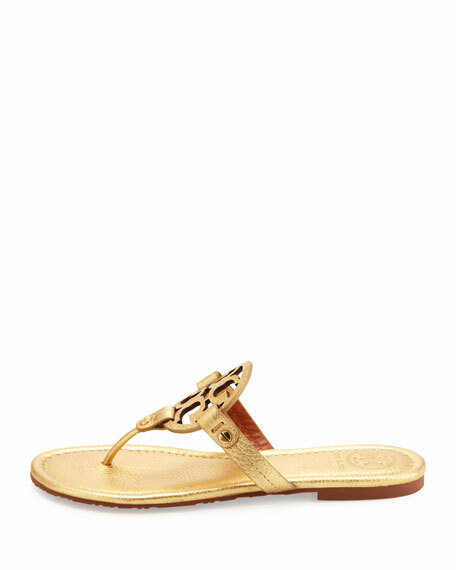 Thong strap with signature double-"T" logo medallion. For in-store inquiries, use sku #229129.